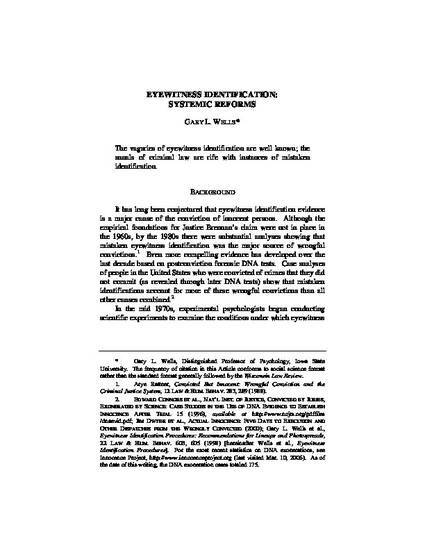 This article is published as Wells, G. L. (2006). Eyewitness identification: Systemic reforms. Wisconsin Law Review, 2006, 615-643. Copyright 2006 by The Board of Regents of the University of Wisconsin System; Reprinted by permission of the Wisconsin Law Review.